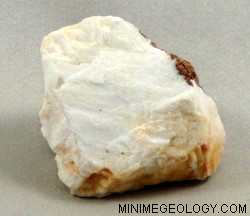 Barite is a soft mineral that is often colorless, yellow, red, green, brown and sometimes black. Huge crystals were found in England measuring over three feet in length. In nature, barite may form rosettes or cockscomb crystals. An information card with details on the rocks formation, mineral content, characteristics, and uses is included. Typical samples sizes are generally 1-2 inches in length or width but can vary based on availability and natural crystal shape.